Reverse flyes are a simple rear delt and upper back exercise you can do at home – if you do it right and make the most of the limited range of motion. Sometimes also called “rear lateral raises,” the main muscle the reverse fly targets is the rear delt. 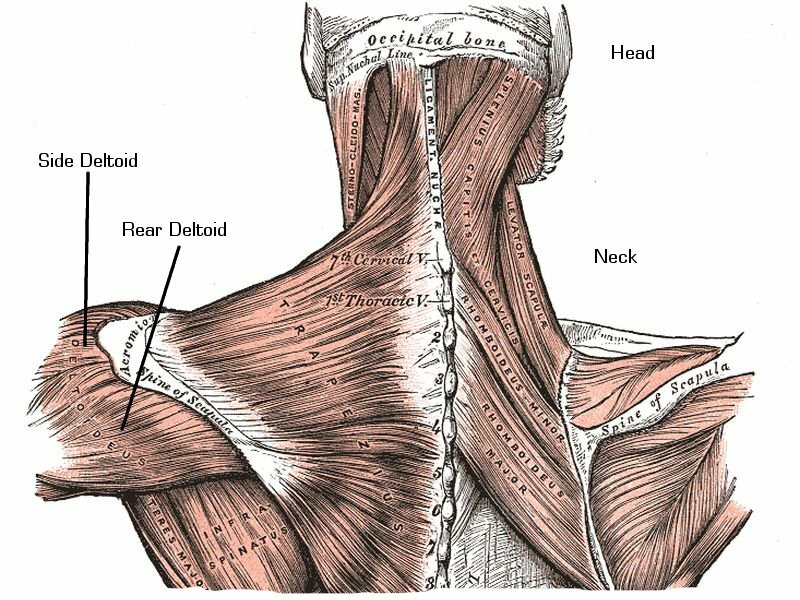 But as synergists you get a number more working along: the middle and upper traps, the lateral delts, the rhomboids and the infraspinatus. The rear delts and surrounding muscles. Can You Do Them Standing? Yes, you can. But I find keeping good form much harder that way, because I have to concentrate on keeping my balance and not moving the upper body. Of course, gauge your mileage and pick whatever is more comfortable to you. For more shoulder exercises you can do at home, check my complete list. Every exercise is explained with the help of a video as well.